GALL34 Galvanized 90 Degree Elbow, 3/4 Inch. 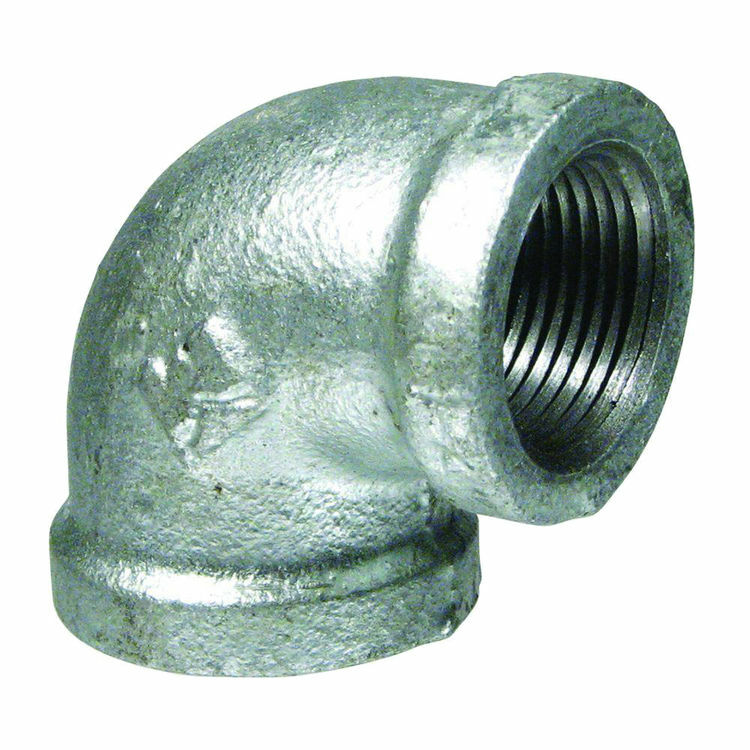 An elbow is a plumbing fitting that allows you to connect two sections of galvanized pipe. The fitting has a 90 degree right angle design in order to create a sharp turn in the pipe when needed. It features 3/4 inch female threaded connections on either side and is specifically used in order to connect two sections of galvanized malleable iron pipe. Galvanized pipe and fittings are used in a variety of different plumbing applications. They can be used in hot water applications, but cold water applications are best with the galvanized fitting and piping construction. Its galvanized construction is very durable and its ability to resist corrosion and rust makes it a better choice over black iron or copper fittings. Even though the galvanized construction is extremely durable, they should not be used in underground applications.